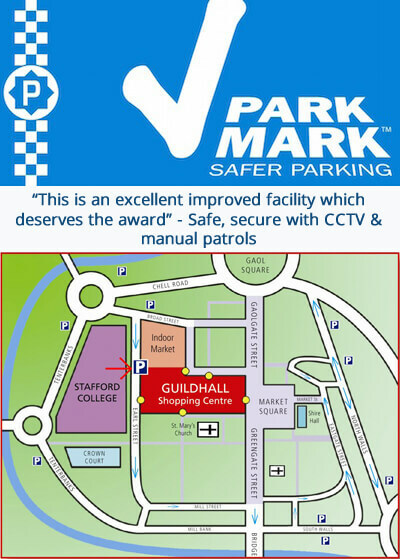 Access to the car park at the Guildhall is found on Earl Street, shown by the P on the map. Best value short stay car parking in Stafford! There's no need to rush, stay and shop till you drop! Free parking on Sundays and Bank Holidays! These are the times the entry barrier closes, the exit will close 30 minutes later. We have Disability Parking and Parent & Toddler facilities available.